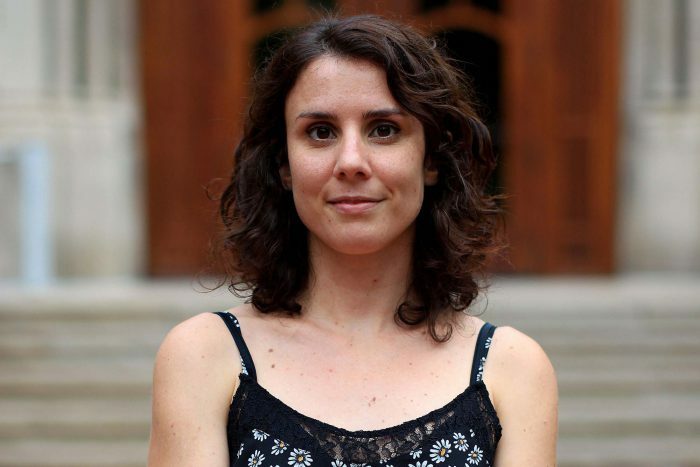 Lucía Cores Sarría is a fourth year PhD candidate pursuing a joint degree in Media and Cognitive Science. She uses experimental methods to study moving images. Her current research focuses on how cinematography, such as the distance, the movement or the angle of the camera affect the way we perceive films. Her perspective on media is informed by ecological psychology and embodied cognition theory. Lucía received her joint B.A. degree in Journalism and Audiovisual Communication from Carlos III University of Madrid, and her M.A. degree in Cognitive Semiotics from Aarhus University. She is pursuing her PhD with the support of a Fulbright Scholarship. Myrick, J., Cores Sarría, L., Han, J., Newman, L., Floom, A., Potter, R. (2018) Embodied cognition and ‘tech neck’: A psychophysiological study of the impact of spinal flexion on cognitive and emotional processing of video messages. Research to be presented at ICA – the International Communication Association. May. Prague, CZ. Cores Sarría, L. (2017). The walking eye: An ecological approach to mobile framing. Research presented presented at SCSMI – Society for the Cognitive Studies of Moving Images. June. Helsinki, Finland. Read, G. L., Cores Sarría, L., Zheng, X., Lu, Y., & Potter, R. F. (2017). Do gender identity and expression influence responses to transgender and androgynous models in advertisements? Research presented at ICA – the International Communication Association. June. San Diego, CA, USA. Cores Sarría, L. (2015) The influence of camera angle in film narratives. Poster presented at the SCSMI – Society for the Cognitive Studies of Moving Images. June. London, England. Cores Sarría, L., Hale, B., Lang, A. Seeing with respect to the self: How camera framing affects motivation and emotion when looking at pictures. Target journal: Media Psychology. 2017: College of Arts and Sciences Travel Award. $500. 2015-2017: Fulbright scholarship for doctoral studies. Granted by the Fulbright Commission for Cultural, Educational and Scientific Exchange between the United States of America and Spain.